The National Wood Flooring Association has made enhancements to its Responsible Procurement Program (RPP). This program is for wood flooring manufacturers who are committed to producing and promoting wood floors that come only from environmentally and socially responsible sources, improving forest sustainability for future generations. A new “Verified from U.S. Renewing Forests” logo. On-product use of the new logo is now permitted. 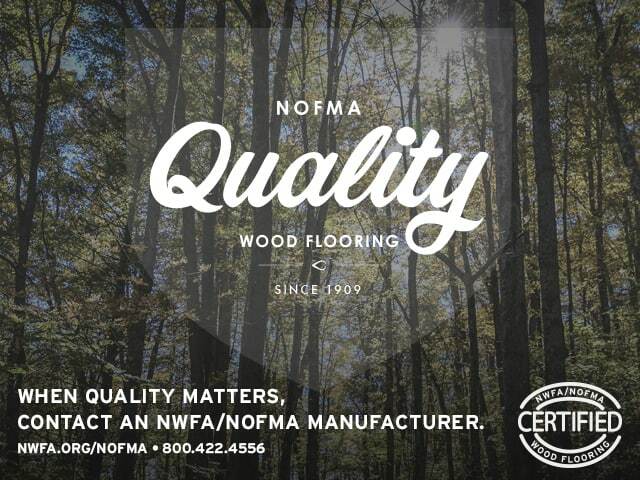 For RPP participants that have obtained FSC Chain-of-Custody (CoC) certification, NWFA has made a renewed commitment to help them set and reach benchmarking goals for certified flooring sales. To learn more about these enhancements and to read the updated Program and Standard Documents, visit www.nwfa.org/rpp.aspx.